Interesting facts about Kentucky for your viewing pleasure. Make road trip plans or just get a kick out of reading these Kentucky facts. Before you go riding through this state or adding it to your road trip plans, take the time to learn a few interesting facts about Kentucky. You will learn vital Kentucky facts that help you plan your trip through the state. 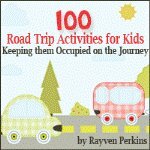 You may even be able to use some of these facts to educate your children in such a fun way that they don't even know they are being educated! The following interesting facts about Kentucky are designed to enlighten you to the history of the state and point the more unusual and little known landmarks during your road trip plans . Enjoy these Kentucky facts yourself or have them read aloud for everyone to enjoy. If you want a good cheeseburger, head out to Louisville, Kentucky. This was the home of the very first cheeseburger back in 1934. The burgers were served up at Kaolin's restaurant. While you're in Louisville make sure to head over to Churchill Downs on the first Saturday in the month of May. This is the home of the Kentucky Derby, which happens to be the longest standing horse race in the entire country. Everyone knows that Niagra Falls in New York is the oldest tourist attraction in the U.S., but most have no clue that the second oldest attraction is in Kentucky. Mammoth Cave has been marketed as a great travel destination since the early 1800s. The state is just one of many operating by the "white man" today, but once upon a time it was the stomping ground of the Cherokee and Shawnee Indians. This was prime hunting land before the white man settled the land and changed the culture forever. Bowling Green, Kentucky may seem like a no-name small town with nothing happening, but that isn't entirely true. If you ever owned a Corvette it was manufactured in this town. Corbin, Kentucky is another little known town that is actually known for one big thing: Kentucky Fried Chicken. The very first Colonel Sanders chicken establishment was opened right here. Go a bit southwest of Corbin and you will come to the city of Cumberland. This is the location of the world's only waterfall that displays a moonbow all the time. This is definitely one of the most interesting facts about Kentucky if you are looking for interesting pit stops for your journey through the state. Lexington, Kentucky is known for its surrounding Bluegrass Country, but it is also known for racehorses. Some of the world's finest horses can be found right here. In 1893, birthday parties were given new meaning by two sisters out of Louisville. These sisters were responsible for singing "Happy Birthday to You" for the very first time. It has changed the way we celebrate birthdays to this very day. Do you love the boom and pound of fireworks? If so, you may be interested in viewing the largest firework display known anywhere in the world. It is called Thunder Over Louisville and is held as the opening ceremony for the Kentucky Derby Festival. Funny laws remain on the books throughout the country, but they don't get much funnier than the ones remaining in Kentucky. You can add these five laws to the list of the most interesting facts about Kentucky during your road trip plans. Your bow and arrow may help you survive out on the road, but don't even think about fishing with it in this state. Kentucky long ago put a stop to bow and arrow fishing. 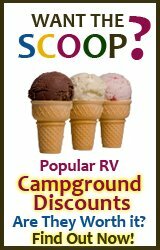 Before your wife gets out of the RV, check the color of her underwear. Women wearing red undies on Sunday are legally bound to marry the first man who asks for their hand. If you want to keep her for yourself you better toss out the red undies. State Motto: "United we stand, divided we fall"
You may not worry about the purity of a bee when it sinks that stinger into your skin, but apparently there is something to worry about here. 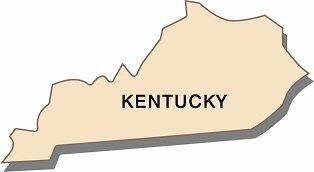 Kentucky law requires every bee that travels over its state line to present a certificate of health. The politicians want to be sure that every bee is from a clean, healthy previous environment. You love your ice cream, but you'll have to find somewhere better than your pocket to hold your cone while you drive through Kentucky. Law prohibits ice cream riding in your pocket. This is one of the best Kentucky facts to make children giggle, so make sure to share it with the little ones as they lick an ice cream cone. Blue ducks are the hottest item on the market today, right? After all, they are a lot prettier than your typical brown ducks. 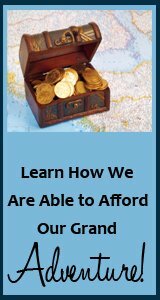 Unfortunately, you will have to dye at least six of them at a time if you plan on offering them for sale within this state. Still craving more? 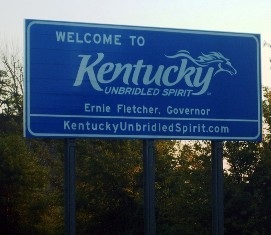 Okay, one more for the road: Kentucky is most well-known for bluegrass music, fried chicken, and the Kentucky Derby.